Come join us from 2-4 on Palm Sunday, March 25! 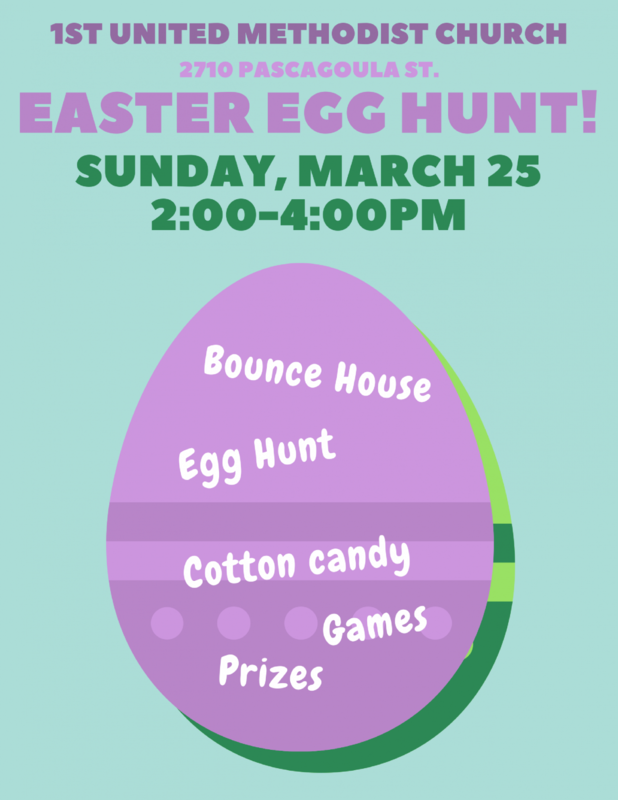 We will hunt Easter eggs, eat cotton candy, bounce in the bounce house and have lots of FUN! !